With this state of the art CAD/CAM unit we can create crowns, veneers, inlays, onlays and bridges in a SINGLE VISIT! The advantages of this technology are endless, but here is what they mean for you…. All ceramic, metal free crowns! Having your new crown or veneer cemented in the same visit means less time off of work! 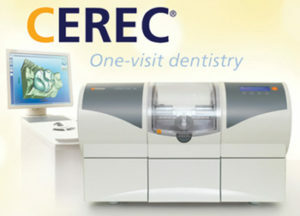 Ask us about the new CEREC OMNICAM!